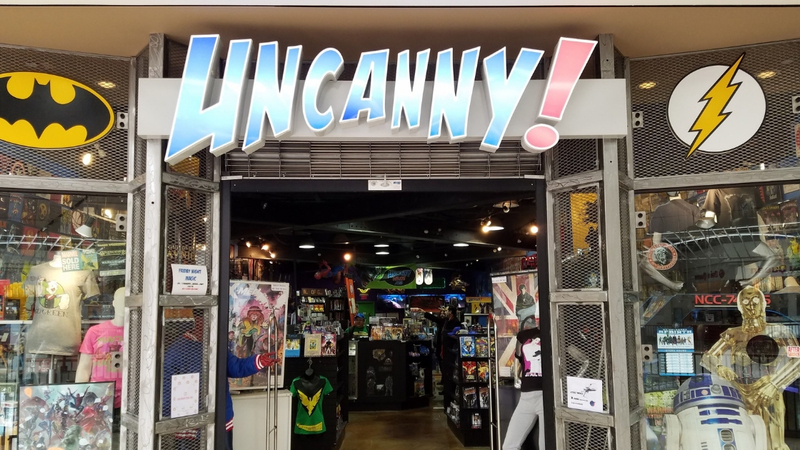 Uncanny, the comic book store at the Plymouth Meeting Mall, announced today that it is closing the store in Plymouth Meeting effective January 31st and reopening on February 6th at the Montgomery Mall in Montgomeryville. The owner of Uncanny, Nick Kruczaj, cited the cost of rent as the reason for the closure at the Plymouth Meeting Mall. There has been a comic book store under different names at the Plymouth Meeting Mall for over 30 years. Names have included Comic Stop, Legends, Comics and More and Uncanny.